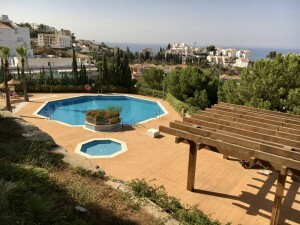 A very nice and spacious Villa in El COTO with beautiful open views.. Ground floor: porch, entrance hall, living room with fireplace and access to garden, second lounge with dining area and fireplace, toilet, kitchen fully equipped with dining table and access to laundry. First floor: 5 bedrooms with wardrobes (2 with private terrace) and 3 bathrooms (1 en suite). Exterior: Large patio, garden with pool, barbecue area, storage room. Property in good condition, with new electrical system, solar panels, double glazed windows, electric gate, air conditioning / heating and water deposit. Plot 819m2. Built size 251m2. 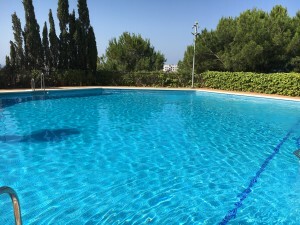 Pool: 56m2. IBI 1.769,58? per year. Community 91,27? quarterly.